The speed at which Earth spins on its axis has slowed by 1.78 milliseconds over the course of a century, according to a report published in Proceedings of the Royal Society, London. This remarkable discovery has been made by studying certain observations made 2,700 years ago. 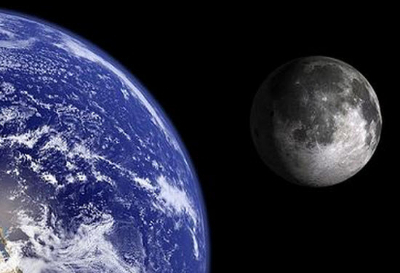 Scientists have known for decades that the interplay of gravity between the oceans and the moon is slowing earth down. Now they know by how much. A team of astronomers, led by Leslie Morrison, has reported gradual slowing in the rotation of Earth leading to lengthening of day by 1.78 milliseconds per century. Researchers at Durham University and the UK’s Nautical Almanac Office gathered compilations of records of ancient and medieval eclipses in the period 720 BC to AD 1600, and of lunar occultations of stars in AD 1600–2015. 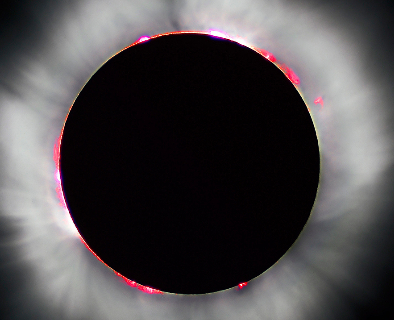 These compilations of oldest records came from Babylonian clay tablets written in cuneiform containing a description of a total solar eclipse witnessed at Babylon in 136 BC and from other extant records of both solar and lunar eclipses from ancient Greek texts, such as Ptolemy’s 2nd century Almagest, and scripts from China, medieval Europe and the Arab dominions. Rate of rotation departs from uniformity: The rate of rotation of Earth is decreasing at an average speed of 1.8 milliseconds per century. Rotation is actually slower than expected: Earlier astronomers have predicted that Earth’s spin slowed by 2.3 milliseconds per century. But the current research has found that along with deceleration in rotation over the past 2700 years, there is also a smaller accelerative component, thus resulting in Earth spin slowing by 1.78 milliseconds per century. Fluctuations in the rate of rotation on time scale: Comparing historical records with a computer model, the team observed that there are fluctuations in the rate of rotation of Earth i.e., Earth has been varying in its state of rotation. Though the increase in the length of day (slower rotation implies longer days) is not significant at present but it would mean humans living 200 million years after us would have 25 hours in a day. Note: Cuneiform is a system of writing first developed by the ancient Sumerians of Mesopotamia (modern-day Iraq) around 3500-3000 BCE. It is considered the most significant among the many cultural contributions of the Sumerians and the greatest among those of the Sumerian city of Uruk which advanced the writing of cuneiform. Why is earth slowing down? Tidal friction: As water pushed by the moon’s gravity sloshes against the Earth, the tidal forces between Earth and its moon result in some transfer of Earth's rotational momentum to the Moon's orbital momentum. However, models considering only tidal effects suggest that the planet’s rotation should be down by 2.3 milliseconds per century, more than that observed by new research. Clearly, there are other factors at play. Melting glaciers and rising sea levels: A Harvard study published in the journal Science Advances reports that global sea level rise fueled by an influx of melt water into the oceans from glaciers that result in redistribution of water is linked to slowdown in Earth’s rotation. Liquid iron core: The current research on data from lunar occultation shows that changes in earth’s rotation are probably due to changes in the dynamics of the inner core of the Earth. Large weather systems: Atmospheric winds, large volcanoes and earthquakes may also cause Earth to slow down. A researcher at the Jet Propulsion Laboratory in La Cañada Flintridge calculated that the magnitude 9 quake that struck Japan in 2011 might have shaved about 1.8-millionths of a second off the calendar year. Note: An occultation is an event that occurs when one object is hidden by another object that passes between it and the observer. When did earth start rotating? 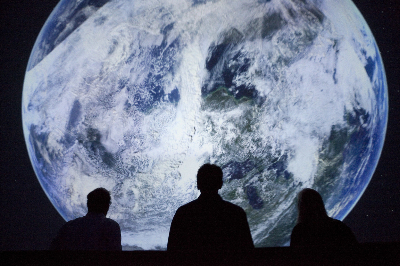 "The Earth keeps spinning because it was born spinning," Luhman, an assistant professor of astronomy at Penn State says. It does not rotate for pleasure. This is how it was designed (let us not get into who designed it - and why). 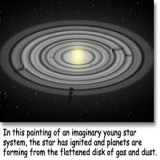 Forces that formed our solar system: Around 4.6 billion years ago, Earth was formed as a lump disk of dust and gas collapsed due to mutual gravity. As it collapsed it began to spin in order to conserve its angular momentum. Scientists also think that formation of moon from Earth due to the collision of ‘some large object’ onto to the young planet set the Earth spinning at faster speed. The Earth still continues to spin on its axis because of inertia. 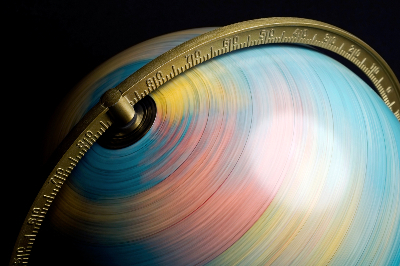 Though the rate of rotation may vary, Earth will continue to spin for billions of years ahead. We guess those who are born spinning die spinning. A rotational analog of Newton's Third Law of Motion (reaction action equality), the law of conservation of angular momentum is usually described thus: "In a closed system, no torque can be exerted on any matter without the exertion on some other matter of an equal and opposite torque." Hence, angular momentum can be exchanged between objects in a closed system, but total angular momentum before and after an exchange remains constant (is conserved). In essence, if one object starts spinning, the other one (assuming there are only two in a closed system) will have to spin too but in the opposite direction. Where does the importance of earth's rotation lie? Earth rotating on a 23.5-degree axis once in 24 hours has immense significance for the existence of human life on Earth. Diurnal cycle: Earth’s rotation causes day and night, thus creating cycles of light and darkness, temperature, and humidity changes. Time zones: Rotation of Earth is responsible for different time zones in different parts of the world. Tides: Rotation of Earth along with the position of moon causes the level of tide change, i.e., twice rise and fall of sea level each day. It is important for the sailing ships which move into the port when tide flows in and sail out of the sea as tide flows out. Wind system: The Coriolis effect caused by the rotation of earth is responsible for the deflection of ocean and air currents. 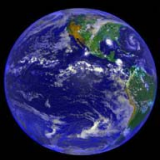 Study of Earth’s evolution: A study published in the Journal of Geophysical Research states that Earth’s rotation is an important variable in the understanding Earth’s history – formation of different layers of Earth of which we know little. Note: In physics, the Coriolis force is an inertial force (also called a fictitious force) acting on objects which are in motion relative to a rotating reference frame. The Coriolis effect is most apparent in the path of an object moving longitudinally. On the Earth an object that moves along a north-south path, or longitudinal line, will undergo apparent deflection to the right in the Northern Hemisphere and to the left in the Southern Hemisphere. Who added one extra second to 2016? On December 31, 2016 a leap second will be added to the official clocks. This extra second will be inserted at the U.S. Naval Observatory’s Master Clock Facility in Washington, DC at 23 hours, 59 minutes and 59 seconds Coordinated Universal Time (UTC) on December 31. This corresponds to 6:59:59 p.m. Eastern Standard Time (EST). Leap seconds have been added 26 times since 1972. The most recent addition was done on June 30, 2015. Earlier the unit of time was defined based on Earth's rotation relative to the position of distant celestial bodies. This is referred to as universal time, and the dynamic gravitational motions of the Earth, moon and sun govern it. But with the advent of atomic clocks in mid 20th century, terrestrial time has become independent of planetary motions. It is based on the natural vibrations of the cesium atom. Thus, in a day there are 86,400 seconds and each second is defined as exactly 9,192,631,770 oscillations of a cesium-133 atom. But these two time scales - the universal and the atomic - do not always line up. As the universal time is determined by Earth’s rotational rate and is affected by various factors, the International Earth Rotation and Reference Systems Service calls for adding a leap second whenever universal time is out of track with terrestrial time by more than 0.9 of a second. 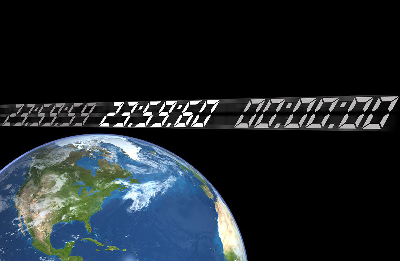 Leap seconds are traditionally added at the end of the last day of either June or December. 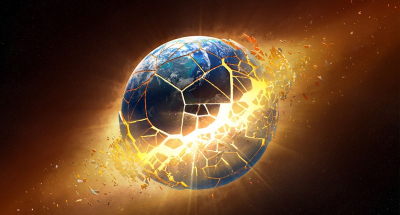 How will humanity be impacted if earth stopped spinning? "It would be a total mess," says Louis Bloomfield, a physicist at the University of Virginia. Humans would just confine to the transition area: Life would exist only along the thin band along the hot-cold border. Change in the shape of Earth: If Earth stops rotating, the midsection bulge would relax and it would change from an oblate to a more perfect sphere shape. 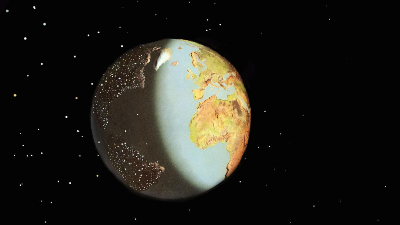 Children will find it easier to draw earth for their classroom assignments. Change in the position of Oceans: It would result in Oceans shifting from the Equator towards the poles, making the planet completely dry near the equator and swamping the poles with water. Reduction in equatorial circumference: The constant struggle between the gravitational force and the weakening angular momentum caused by the slowing of the Earth's rotation results in Earth getting rounder slowly. It also causes tremendous dynamic stress within the Earth as it adjusts its shape. Changing mantle: In the tropical and subtropical regions, earth’s mantle is becoming smaller while in the pole regions the mantle is getting uplifted and is becoming rounder. Dynamic crustal movements: Crustal shifts take place as mantle keeps shrinking and crust tries to fit into the diminishing area of the mantle. This could cause increasing eruptions of volcanoes and earthquakes along the ‘Pacific Ring of Fire’, the most seismically active region of earth. Effect on climate: In the past, faster rotation caused Earth's ocean waters to concentrate more in the tropical and subtropical regions. The slowing down of rotation would further increase the rate of melting of glacial ice.